It feels as though Atlus are capable of anything. 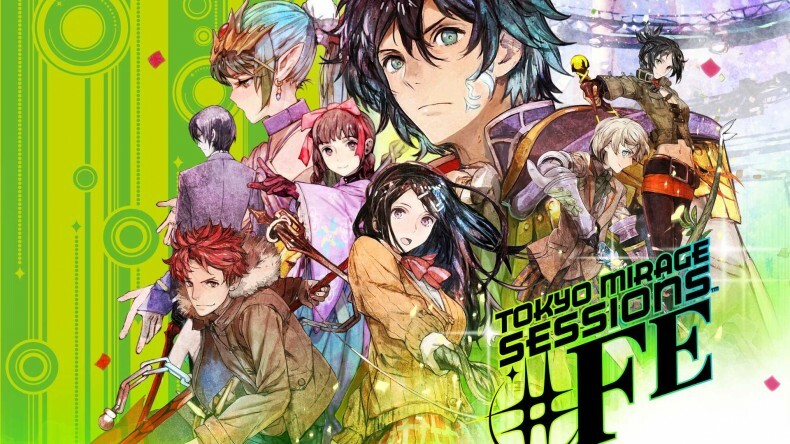 By combining the mechanics of their long-running Shin Megami Tensei series with the battle aesthetics and class system of Nintendo’s Fire Emblem franchise, the colourful Tokyo Mirage Sessions #FE was born. 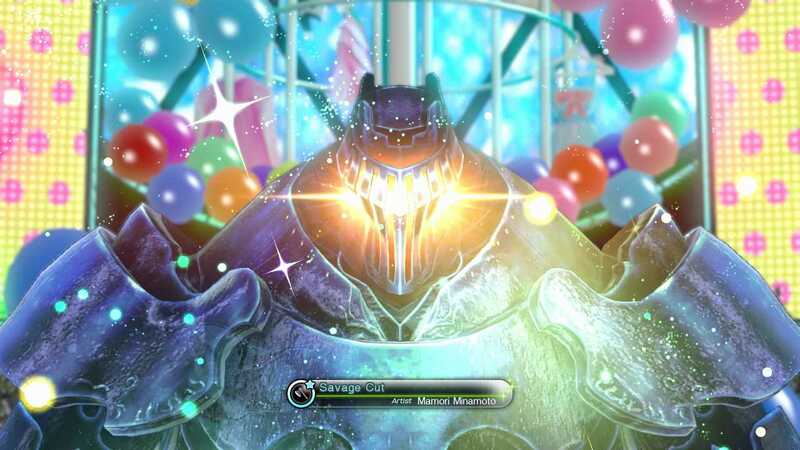 Taking traits from both titles and seemingly ultimately recycling them for its own benefit, you could be forgiven for thinking that Tokyo Mirage would bring nothing new to the table. However, you’d be dead wrong. Tokyo Mirage Sessions #FE is a masterpiece — presenting itself as a unique and radiant RPG, full of depth and heart. Set in modern-day Tokyo, players take control of Itsuki Aoi: a high schooler who finds himself roped into a world of phantom-like warriors known as Mirages. He and his friends, Tsubasa Oribe and Touma Akagi, are enlisted by a talent agency called Fortuna Entertainment to become “Mirage Masters” — they bond with cordial mirages who help them in battle by turning them into warriors, known as “Carnage Form”. Various locations across Tokyo are attacked by evil Mirages and the team must enter their realm known as the Idolasphere to halt their assault, all while trying to discover the root of the Mirage attacks that plague the city. One of the most visually complex projects Atlus has ever worked on, Tokyo Mirage Sessions #FE bursts in colour and light — literally and metaphorically. Character design is some of the most magnificent I’ve ever seen in a video game with resplendent costumes and fine attention to detail being a staple of the experience. The in-game locations have been created beautifully, featuring real landmarks such as the Shibuya crossing and Harajuku’s Takeshita St. The palettes used across locations and character models are astoundingly bright and lively, complementing the lighter story we are presented with as well as the various themes of music and performance that are present throughout. Dungeons have been designed just as well, with many being familiar to players of Atlus’ Persona series. Enemy encounters take place in an arena populated with Mirages, who cheer on the player-controller characters throughout as though they are watching a performance. 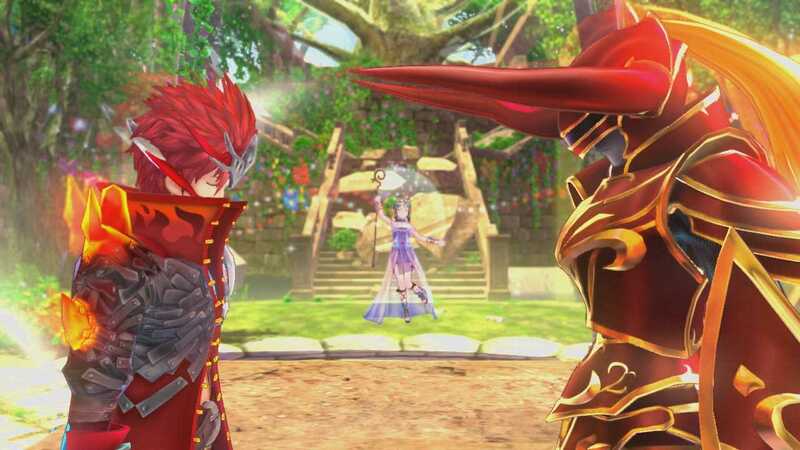 Characters fuse with their Mirage partners during battle, allowing them to perform a variety of skills and abilities. While utilising the weapon triangle from the Fire Emblem series, the battle system appears to be heavily based on that of Shin Megami Tensei and Persona, with elemental weaknesses and resistances playing a much larger part in the majority of combat scenarios. 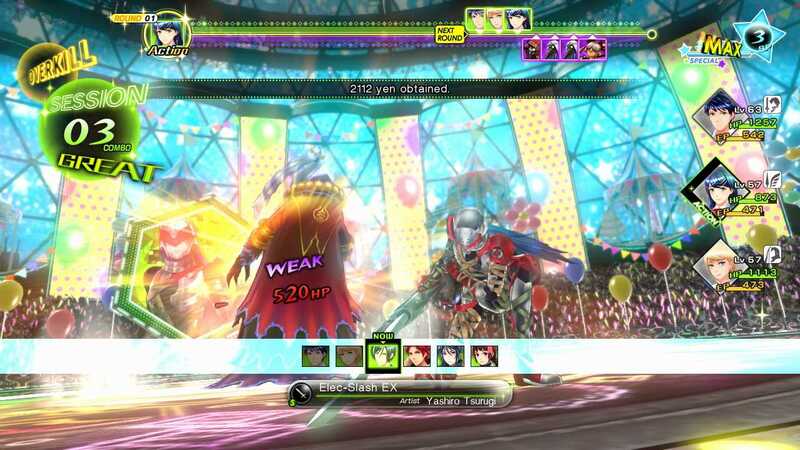 A unique feature in Tokyo Mirage is the ability to participate in “Sessions”, which allow characters to perform a follow-up attack if an enemy weakness is exploited. Session lengths can vary and depend on the “Session Skills” that characters have learned prior — these dictate the sort of weaknesses that they can capitalise on with a session. These sessions keep characters working in unison and add a more tactical element to battles as victory can often depend on carrying out the most damaging sessions possible, defeating enemies before they get a chance to attack. Perhaps the only limiting factor of combat is that you can only use three characters at once, whereas in titles like Persona, you were able to use four. Three characters can feel right at times, then at others it can feel slightly unfair — a technicality which resulted in me having to grind for a half-hour or so before a few bosses to make sure I was up to scratch. Tokyo Mirage Sessions #FE is one of the few games on the Wii U which prevents Off-TV Play — instead, the GamePad acts as a permanent social interface which allows you to interact with characters during key moments in the story as well as during side stories. Known as Topic, the GamePad permits short text messages and cute stickers to be sent back and forth, revealing fragments of lore and glimpses into a character’s true personality. Some can be humorous, relaying an embarrassing event they have experienced and others can relate to the more serious points of the plot, with characters expressing worry, sympathy or dedication to trumping enemies. It is a wonderfully innovative feature, one which brings depth to the characters and adds a real sense of modernity. Following the Fortuna Entertainment members’ meteoric rise to stardom, Tokyo Mirage Sessions #FE is far more light-hearted in terms of story compared to other Atlus titles. Tsubasa Oribe, perhaps the main subject of this ascent to idolhood, overcomes a variety of issues throughout the story — first struggling with singing, then modelling, acting and so on. Through these struggles, Tsubasa learns new skills and unlocks “Performa” — visualised as a radiant orb of light which represents the new strength of a Mirage Master. All playable characters can unlock these Performa and can be put towards learning new support skills resulting in longer sessions, higher stats or weapon specialisation. The main themes of performance and entertainment are highly appealing to those who enjoy Japanese culture and pop music — the vocal collection soundtrack is a centrepiece of the main story as well as numerous side missions, adding a truly authentic feel to Tokyo Mirage Sessions #FE. Many of the female characters are idols in some sense and there is even a nod to vocaloid otakus, with Tiki feeling like a distant relative of Hatsune Miku — there’s even a side mission called “I’ll Tiki-Tiki You (For Reals”). The use of Japanese-only voice acting with English subtitles adds to this feeling, providing an immersive atmosphere for weeaboos everywhere. Knock half a point off the score if you ain’t one. I still feel like I haven’t summed up how splendid of an experience Tokyo Mirage Sessions #FE is, but if you’re in love with Japanese culture and video games to the same degree as I do, it will feel like a game that has been tailor-made for you. Even without this fascination, Tokyo Mirage Sessions #FE presents an excellent battle system with innovative mechanics, adding sessions to make combat feel lively and interconnected. It is a vivid, enchanting adventure that offers humour, drama, and a range of magnificent characters to back it all up. While drawing from the Shin Megami Tensei and Fire Emblem series, it’s able to stand apart from its blood relatives — outshining both series as a fresh and exciting new IP brimming with promise. A resplendent addition to the Atlus catalogue, Tokyo Mirage Sessions #FE draws from two acclaimed series and outshines them both with an innovative combat system, radiant in-game world and charming cast of characters.